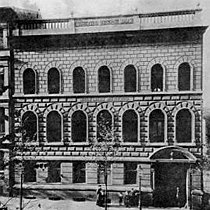 The Poznań Society for the Advancement of Arts and Sciences – as the oldest name of the institution was – gathered for the first time on 13th of February 1857. 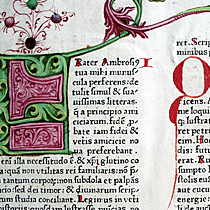 Among the 42 founding members were the main initiators: dr Kazimierz Szulc – secondary school history professor, priest Franciszek Ksawery Malinowski – linguist and Tytus Działyński – the originator of The Kórnicka Library. 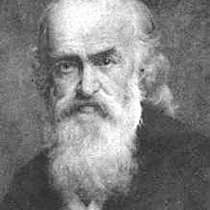 The first chairman was August Cieszkowski. 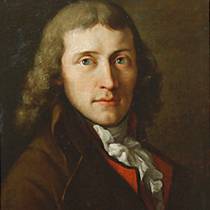 From then on the role was passed on successively to Tytus Działyński, then again August Cieszkowski, Karol Libelt, Stanisław Egbert Koźmian, Cieszkowski for the third time and finally to Archbishop Edward Likowski. The founding of PTPN played remarkably important role in ‘the longest war of Modern Europe’; the aim of the first members was to protect – unguibus et rostro (‘tooth and nail’), which was the Society’s motto at that time – and further develop the sciences and endangered culture of the Polish nation in Prussian district, where there was no possibility to establish functioning Polish university. The Society, of which initial main fields of activity were Humanities and Art, didn’t take long to extend itself to other sectors of sciences, through the Faculties at which the scientific research was regularly carried out. 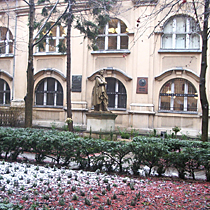 The Faculty of Natural Sciences conducted the physiographic research of West Poland, the chemical laboratory was created and the Medical Faculty was established. 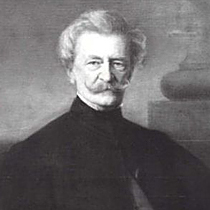 Seweryn Mielżyński, the great philanthropist of the Society, donated to the institution his valuable art collections (including the collections of the Miłosławska Gallery), the collection of paintings by Edward Rastawiecki, as well as the archeological and numismatic collections. 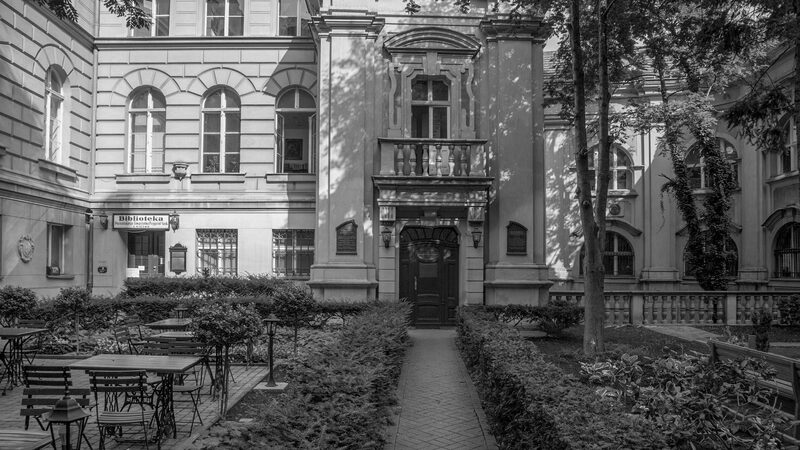 The building of PTPN was raised after some time (also with the financial support of Mielżyński) according to Zygmunt Gorgolewski’s project, and it has become the cultural, historical and national centre. At the beginning of the 20th century, the property was further extended thanks to the generosity of Poznań citizens, particularly one of them – the merchant and financier, Roman Plewkiewicz. The two old annexes gained two additional ones and a new edifice facing the street was added, as designed by architect Roger Sławski, who traditionally – as a member of the Society – did it without payment. That is how the building of the Society looks like till present day. The members of the Society, since the moment of its establishment, made great efforts to raise a monument in Poznań, of then the recently deceased Adam Mickiewicz (then the first monument of him on Polish soil). The original one, made of stone, has been on the courtyard of the PTPN for several decades. During the Prussian rule over the Greater Poland, the Society was the sole organizer of the academic life here and the unquestionable authority in this field. The regaining of independence was the signal for the members of PTPN to reinvigorate their efforts to achieve the main goal of their predecessors – the establishment of the university in Poznań. The first rector of the university was, somewhat naturally, the Chairman of the PTPN at that time, Heliodor Święcicki. His successor as the PTPN chairman was Bronisław Dembiński. During the period of Polish independence, the majority of the Society’s congregated collections has been donated to national museums, slowly forming at that time, and the Society has been gradually changing its character from scientific institution to the independent academic corporation. During the Second World War, more than one hundred members of the Society died tragically. The book collection was dispersed and partially destroyed, the archive was demolished and the building devastated. After the war, on the 16th of May 1945, the Historical Committee of PTPN resumed its work. Slowly, the structure of the Society from the time of Zygmunt Lisowski’s chairmanship was rebuilt. The traditional physiographic research of West Poland was renewed, a few more new academic research projects were initiated as well as the reinvigoration of publishing, popularisation and librarian activity. These projects, which helped the Society regain its traditional place in the academic life of Poznań and the whole country, were conceived by subsequent chairmen: Zygmunt Wojciechowski, Kazimierz Tymieniecki, Stefan Barbacki, Gerard Labuda, Zdzisław Kaczmarczyk, Zbigniew Zakrzewski. Unfortunately, unfavorable attitude of national and local ‘people’s government’ towards the PTPN resulted in not only the Society losing a part of its estate, but also its members losing enthusiasm when faced with the countrywide economic crisis during the 70s and the collapse of the social spirit after 1981. The internal crisis of the Society, especially the financial one which had been deemed non-restorable, was slowly diffusing during the chairmanship of Antoni Gąsiorowski. Gradually, the proprietary rights of PTPN were revindicated, the property assets were revalorised, and – even though the state subsidies were smaller and given only to selected projects – the foundations to continue academic research of the Society were achieved.